Every picture conveys a thousand words. Have you ever taken photographs of nature, landscapes, and monuments with a creative twist to it? If yes, then you will have a collection of such photos by now. Showcase your creative side to your loved ones, by converting all your artistic and inspiring snaps into fine art photo books. Fine art photos have an aesthetic appeal depicting the natural beauty of every subject. Here, instead of using a brush and canvas, the photographer uses the camera to express creativity in the form of art. Imagine capturing your loved ones in the form of fine art? Wouldn’t that be one of the best ways to bring out their emotions and expressions? You could transfer such photos onto canvas and put them up on your living room wall spaces. Need a better option? Panoramic photo books are also great ways to treasure fine art for years. Do you like taking pictures of just your family and loved ones, or do you also randomly capture your surroundings on film? 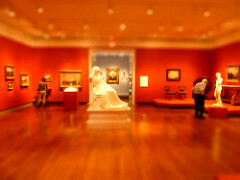 Fine art can be used to depict both personal and professional photographs. Let’s look at the personal fine art photo books first. Personalized photo books of your family or friends are unique gifts that will definitely make the receiver happy. Collect all the snaps reflecting your selected theme. Add a panoramic touch by making your subject the main focus in the photograph and blurring the surroundings. Black and white photos are another way to draw attention to your subject. Fine art photo books with different sizes of photos are a treat to the eye. Next, let’s focus on landscape photography. Panoramic photo albums require lot of passion and immense precision too! To create your panoramic photo book, capture picture relating to a particular theme. If you want a clear and picture perfect photograph, try using a high resolution camera with powerful lenses. To make your photo book more interesting, try capturing landscapes in different light conditions. Turn your images into work of art by customizing it according to your theme. In case, you wish to design a professional photo book, you can go to various online photo printing stores such as AdormamaPix.com, that offer high-quality printing with quick shipping facilities. Such professional-looking photos can also be framed and displayed in your home as wall art. Based on your home décor, you can frame your work into traditional or modern looking frames. You can also group traditional and modern frames together to create an impressive effect in your room. Capture something in your camera and convert it into a work of art in a jiffy.